Some of you – and we pride ourselves on knowing our readership – will read the title of this article and raise a questioning eyebrow. And we will want to call them names and punch them square on the nose for their mucky obtuseness because we work long and hard thinking up snappy headings. * Their parentage will be called into question and the fitness of their place on this earth and how their skin would look better as an integral part of the new range of Moleskine diaries. Because none of us like criticism, do we? It’s up there on the list of ‘Stuff that Makes Us Feel Worthless’, just underneath hospital consultants and changing-room lighting. Faced with criticism, most of us automatically assume a fight stance and a face you could chill a haddock on. We at NOTBAd are especially adept at recognising the signs of someone with a nose out of joint, it’s a skill we’ve developed over our reviewing career. We just have to step into a room full of amateur actors for the temperature to plummet to the point where we start flicking the thermostat and checking over our shoulder for poltergeist activity. But it’s not just am-drammers who suffer from over-sensitivity, it is amateurs in general. When learning how to do something new, skin is thin and easily bruised. Criticism isn’t seen as helpful – rather cruel and unnecessary. And this is a shame, because lessons lie in what we get wrong rather than in what we get right. We cannot progress beyond our limitations unless those limitations are pointed out to us. At the end of last year two things happened in quick succession which highlighted the different approach that professionals take in the face of negative feedback. Firstly, NOTBAd was approached by actor and director, William Mickleburgh, in the Stage Door bar. A few months previous to this, Mickleburgh had brought to the stage North See Productions’ The Girlfriend Experience by Alecky Blythe. We had reviewed the show, so when Mickleburgh introduced himself we were up on our toes and ready to dodge a glassing. Imagine our surprise then when Mickleburgh thanked us profusely, informing us that our comments had given him cause to re-think his role as director. He has decided to pass that baton on to former Corrie actor, John Savident, while he focuses on performing and assistant director duties instead. Mickleburgh is thrilled because getting Savident on board means he is able to raise the show’s profile enough to tour it nationally. Even better, playwright Alecky Blythe has agreed to get personally involved with rehearsals. By listening to criticism, rather than reacting to it, Mickleburgh had been able to gauge whether or not it had merit. He decided it had, and went on to turn things around to his advantage. Secondly, NOTBAd received a tweet from The Laughing Bear Comedy Club offering us tickets for last Saturday’s show. Immediately our interest was piqued. They hadn’t received a glowing review from us back in August ’11, so this was a clear act of chutzpah on their part – a signal that they were coming out fighting. Turns out Laughing Bear had every right to be confident because the show on Saturday bore no resemblance to last summer’s lacklustre affair, and gives NOTBAd very real hope that a worthwhile comedy club in Berwick can be established after all. 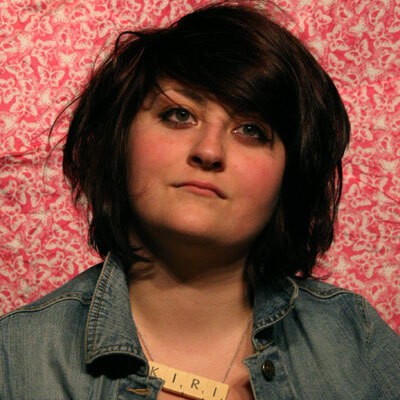 Kiri Pritchard-McLean - she looks lovely but only a fool would heckle. Our compère for the evening, up-and-coming comedian Kiri Pritchard-McLean, discharged her duties with ease, getting the audience on side from the off. Supremely relaxed as she bantered with the audience, she is blessed with a non-threatening persona hiding a sharp tongue –essential for today’s lady-comic-about-town. First act, Peter Brush, started well. He delivered his material in the slow, halting tones of an angsty beta-male and while his material was good, by the end of the set it wasn’t quite strong enough to withstand the unrelenting deadpanning. A bit of judicious editing should sort out the pacing and keep the audience engaged right to the very end. A great start. Consternation ran through us on seeing magician Nathan Thompson make a reappearance. Thrown in at the deep end last time, his thrashing around had been distressing to witness. This time, however, we were able to unclench. Not only has Nathan been working on his image in the interim but, more importantly, he has been working on his stagecraft. We’re happy to report he can now muster enough patter to get him comfortably through his act. David ‘Dimples’ Simpson. If you like your comedy surreal – and we do – then you’ll find Simpson an utter delight. Great physicality and stage presence despite his inexperience, plus refreshingly original material (imagining what would happen if you painted a shark like a really big salmon and placed it in a paddling pool in front of a bear) delivered with complete self-assurance meant that Simpson kept the audience with him through merit rather than simply being a local lad in front of a partisan crowd. We quite possibly heart him. And headline act, Bruce Fummey. Something of a coup, eh? Well-established on the Scottish comedy circuit and Fringe regular, Fummey forced us to roll our eyes only once at the top of his set with his portrayal of Southerners. Fummey’s better than that, as he went on to prove when regaling us with tales about growing up as one of only a few mixed race kids in Perth. His act sparkled with warm intelligence, and laughter came on a steady roll. Fern Brady - the church of a poisoned, or possibly drugged, mind. But, ladies and gentlemen, as is our wont, we do have a favourite. 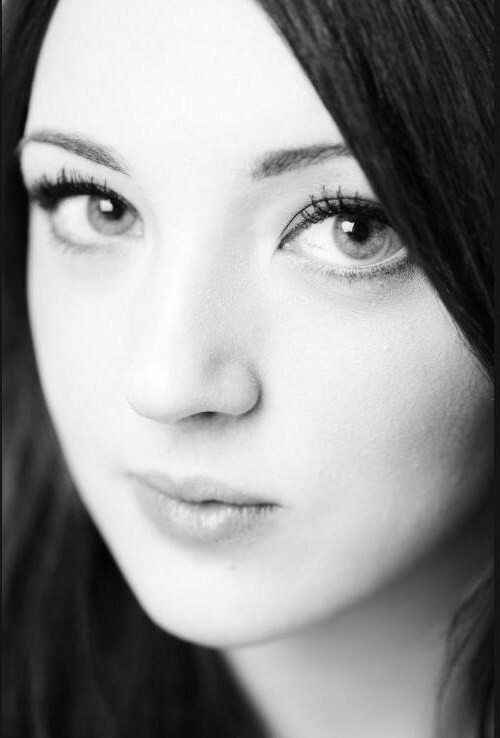 Step forward, Fern Brady, Boy George look-alike. As we’ve mentioned before, women can come in for a hard time in comedy, having to make all sorts of compromises. Brady makes no apology. She crackles with fire, has beautiful timing, perfectly pitched delivery, and great gags to boot. She has already gained recognition in her short comedy career – making it to the finals of ‘So You Think You’re Funny’ competition at the Gilded Balloon last year – and has an air about her of a woman going places. The Laughing Bear Comedy Club deserve a round of applause all of their own for substantially raising their game. Long may it continue. And the moral of the story? If you get knocked flat you not only bloody well get back up, but you flip the finger while dancing a little jig. Catch next month’s Laughing Bear Comedy Club, 24th March 2012, at The Maltings Theatre, Berwick-upon-Tweed. * Once it even took us fifteen minutes. That’s quarter of an hour we’ll never get back.